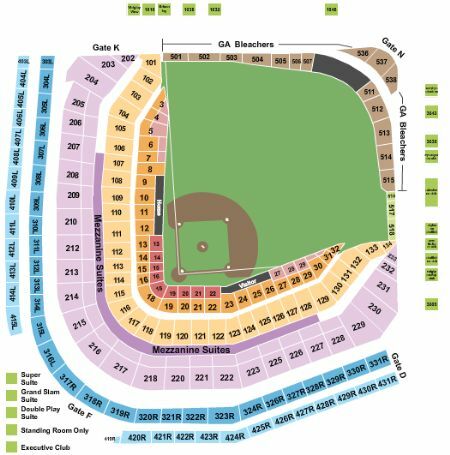 Chicago Cubs Vs. Oakland Athletics Tickets - 8/6/2019 - Wrigley Field in Chicago at Stub.com! Mobile Entry Tickets. Must have smart device on hand to enter event. Do not print these tickets. General admission. Tickets will be ready for delivery by Aug 05, 2019. XFER Mobile Entry. Scan your tickets from your mobile phone for this event. Do not print these tickets. Tickets will be ready for delivery by Aug 02, 2019. XFER Mobile Entry. Scan your tickets from your mobile phone for this event. Tickets will be ready for delivery by Aug 02, 2019. Mobile Entry. Scan your tickets from your mobile phone for this event. Do not print these tickets. Tickets will be ready for delivery by Aug 02, 2019. Mobile Entry Tickets. Must have smart device on hand to enter event. Tickets will be ready for delivery by Jul 30, 2019. If more than two (2) tickets are purchased from this group your tickets may be adjacent to each other in two consecutive rows. Mobile Entry. Scan your tickets from your mobile phone for this event. Do not print these tickets. Tickets will be ready for delivery by Aug 02, 2019. Mobile Entry Tickets. Must have smart device on hand to enter event. Do not print these tickets. These seats have chair backs. Tickets will be ready for delivery by Aug 02, 2019. Xfer Mobile Entry. Scan your tickets from your mobile phone for this event. Do not print these tickets Tickets will be ready for delivery by Aug 02, 2019. Xfer Mobile Entry. Scan your tickets from your mobile phone for this event. Do not print these tickets Tickets will be ready for delivery by Aug 05, 2019. Aisle Seats. Tickets will be ready for delivery by Jul 30, 2019. XFER Mobile Entry. Scan your tickets from your mobile phone for this event. Do not print these tickets. Tickets will be ready for delivery by Aug 05, 2019.